Dhol Drum 2, Virtual percussion from Soundiron. 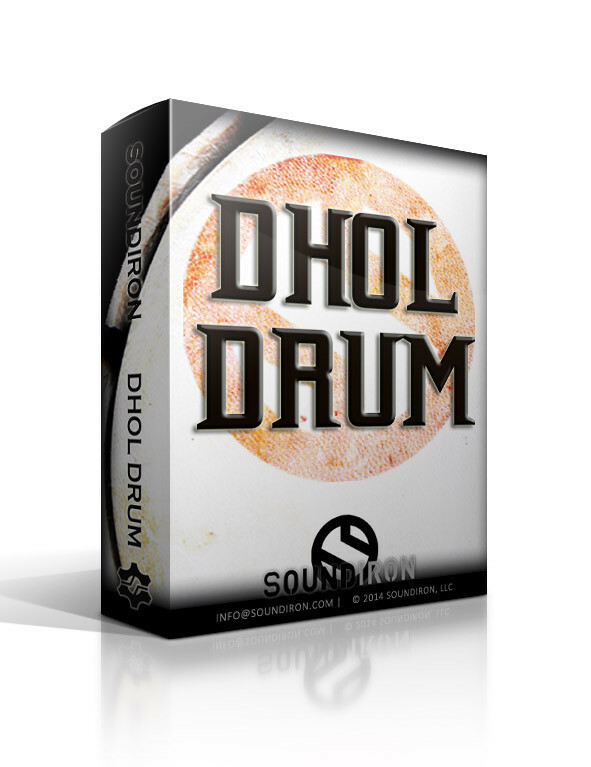 Dhol Drum, formerly developed by Tonehammer as Solo Dhol, has been updated by the Soundiron team. 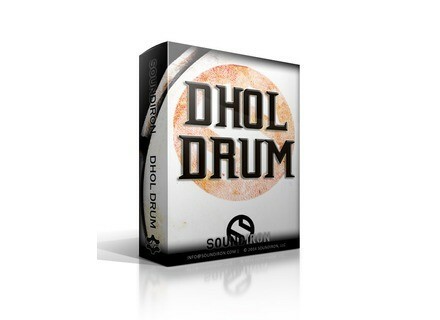 This second version of the Dhol library for Kontakt features the previous samples found in Solo Dhol. This instrument is a kind of large closed barrel with animal skin heads, traditionally used in Sufi and Punjabi Bhangra musics. It can produce a large variety of sounds, mainly deep basses and snare-like tones. For Dhol Drum 2, Soundiron reworked both content and features. You’ll now find 5147 samples and more than 110 different articulations, this instrument being played with sticks, mallets, brushes, hands, fingers and more. Soundiron recorded the Dohl in studio in a wide stereo configuration and with up to 14 velocity layers and 10 round robins per note. They also recorded a collection of very deep bass bends, these sounds can sometimes he heard with the tabla. MegaMixer, Dual-Layer Tuned Percussion and Classic Ensemble presets are also included, each featuring various performance controls, its arpeggiator/EZ-roll, multi-effect rack and as a bonus, you’ll get 22 textures/atmospheres cooked from the original recordings. Dhol Drum is a 2.07 GB library featuring 10 presets, 5147 samples in 24-bit / 48kHz stereo WAV format and 10 .nki instruments. It requires the full version of Kontakt 5.1 and later. Dhol Drum is currently available for the introductory price of $39 until September 3rd, its regular price is $59. If you purchased Solo Dhol from Tonehammer, you should receive a e-mail in the next few days with all the upgrade information. If your e-mail address changed in the meantime, please contact Soundiron to update your personal information. You can listen to Dhol Drums demos at soundiron.com. 5000 Plug&Mix VIP Bundles for $49 each Don’t Crac[k] and Plug & Mix are offering 5000 licences of their VIP Bundle for $49 each instead of $249. Setup you SSL Live offline Solid State Logic released a software that allows SSL Live console users to setup their showfiles from a PC. The FabFilter Pro-Q 2 is out As expected, FabFilter released this morning the second version of its Pro-Q equalizer plug-in.